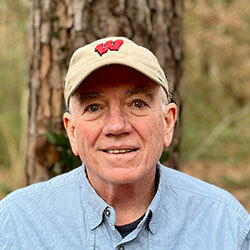 Craig Zarley writes fishing books for wilderness canoe travelers. His books include Catching Canoe Country Walleyes, rated a Top 10 Best Walleye Fishing Book by FishSeekers, Catching Canoe Country Lake Trout, and Quetico Fall Fishing Legends. He has fished and canoed in Boundary Waters and Quetico for more than 50 years. Craig is the popular presenter of "Catching Canoe Country Walleyes" at past Canoecopias. After more than 50 years of chasing Quetico and Boundary Waters walleyes, he's still learning new tricks. He'll show you where and how to catch walleyes from a canoe without using electronic gadgets or expensive tackle. He'll explain why he's a convert to braided line, and why a jig and plastic twister tail trump more expensive lures as the premier walleye-catching bait. Come find out how he's modified his tackle and techniques to catch more walleyes.